Nairaex.com Review 2019 – Scam or Not? The cryptocurrency wave is clearly sweeping across the world! As a result, there are now hundreds of BTC exchange websites that have been operating and providing services to people that are in need. One of the websites that have been focusing on a specific market is Nairaex.com. The website is focused on the Nigerian market, thus their currency is part of the website name. 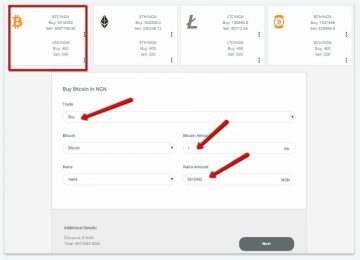 From the word “Naira”, the website accepts the currency in exchange for Bitcoin. Today, we will be looking into what their website has to offer in general, what are their limitations to users that are not based in Nigeria, and generally, know what their features and website services are. Without further delay, let’s talk about that! Here at Nairaex.com, they calculate the average market price from several exchange websites against USD, this is then multiplied by the Naira/USD exchange rate. You can read more about their explanation on how they determine their BTC prices here. To create an account, we just simply need to head to their website and click on register. The account registration is pretty basic since users are only required to submit a complete name and active email for the verification email to be sent at. Once the verification email has been clicked, the user will then be redirected to the website. Please be advised that at this stage, the account is still unverified. Account verification is important since BTC transactions (buying) cannot be done without going through the process. The website would need government-issued ids like driver’s license, voters ID, and Passport with a photo of the account holding the provided ID card. 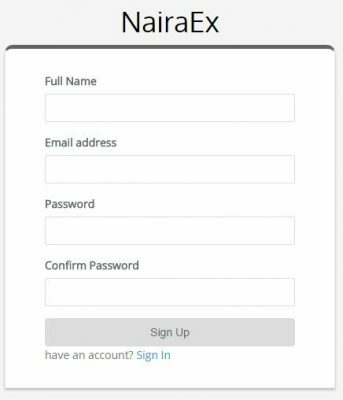 There are no tabs on the website wherein a user can submit the requirements; instead, they want the users to email everything at hello@nairaex.com. There isn’t that much the website can offer when it comes to features. We looked around and honestly, the website is boring and doesn’t have that much to offer when it comes to aesthetics. If you want a website that is based in Nigeria and would just cut to the chase, this should be perfect for you. In addition, please be advised that the website does not offer Two-Factor Authentication to be activated in the account. They also have a referral program in which verified customers can earn commission by inviting their friends via the referral link provided. For each referral, the website will pay the customer 1 Naira for every 1 USD worth of trade. Read more about it through their FAQ’s. Once an account is successfully verified with the provided email, a prompt saying that the minimum trade amount is at 30,000 Naira without any exceptions or the account will be banned. This is critical information that needs to be taken into consideration when trading with the website. To purchase BTC, the user needs to verify the account first. Once the account has been verified, you can then head on to your account and click on “Buy Orders” tab to purchase cryptocurrency. The website originally offers trades for BTC, ETH, LTC, and BCH but has recently stopped all trades with ETH, LTC, and BCH and is now focused on BTC buying and selling. Even without proper verification, we were still able to see their exchange platform. Compared to other region-based exchanges, it is impossible to go through even the registration process since they will ask for local phone numbers for 2FA. Sadly we are unable to confirm the fees for buying and selling here at Nairex.com. For you guys that have a verified account with them please do let us know their trading fees so that we may get an idea of how much they charge per transaction. We also noticed that since the website is a straight exchange website, the fees might not be visible as they have their own price for buying and selling BTC or cryptocurrency in general. There are two deposit methods that Nairaex accepts. This would be from a Naira Bank Account or Perfect Money. To name a few banks that they accept we’ve got Citibank Nigeria, Diamond Bank, Ecobank Nigeria, Enterprise Bank, Fidelity Bank, First Bank of Nigeria, and First Bank of Nigeria to name a few. It’s actually pretty weird, but we were unable to see any withdrawal methods for the website. Is this because our account is not verified? Please let us know in the comments section below regarding this issue. But since this is an exchange website, we are a hundred percent sure that they offer BTC or cryptocurrency withdrawals. One of the most important features of a website is their ability to provide customer service channels. Here at Nairaex.com they only have one channel and that is their email support. Customers can contact their Email CS at hello@nairaex.com. This is sad since it would have been better if they had an actual phone number or at least live chat service. Overall, we’re not impressed with their customer support channel. The most important thing that we want to point out is that we were unable to fully give the website a review that it deserves. Due to the region-locked feature, the website still remains a mystery. But what we’ve learned through our restricted visit is that Nairaex.com is a website made for Nigerians. Knowing that they accept direct bank deposits is great since people generally would go for this option especially when their banks know what they are doing. Generally, this website is great as what we’ve seen. Since we are unable to provide a complete review, please do let us know in the comments section below on what you guys think about them.